Achieve Your Goals Faster—and Enjoy the Journey! Communication is much more than the simple exchange of information. Real communication involves genuine connecting between people. It also involves being genuinely honest with one’s self. Good coaching is not just hand-holding. It’s a powerful, collaborative relationship between a coach and an individual that enables the individual to realize extraordinary results through a process of discovery, goal setting, and meaningful action. With good coaching, an individual tends to embrace the “work on me first” principle as never before. Great organizations are composed of individual players whose lives are bigger than their jobs. To make the best contribution, those players must strive for balance between personal fulfillment and collective impact. Good coaching can make all the difference. One of our executive coaches will work with you to discover and assess what you have working in your favor and anything that may getting in the way of achieving your goals. We have found four key steps that help many of our clients excel and move to the next level. Discovery is the exciting first step, which includes clarifying where you are now, and where you want to go or become. As an objective, seasoned professional with your best interest at heart, your executive coach works with you to discover and assess what you have working in your favor and anything that may getting in the way of achieving your goals. During discovery we identify any concerns that will prevent you from reaching your goals. Destination represents your vision of where you want to arrive and what you want to become. This is the “better place” that inspires you to action. We help you refine and articulate your vision, do reality checks and determine what it will take to get there. Our coaching process is client-driven. Our goal is to help you get to where you want to go while avoiding the pitfalls that can hinder you. Our goal is to help you make your vision a reality. We help you identify measurable skills and behaviors that are important to you in reaching your destination. Equipment for this important journey includes the talents you bring with you, plus the additional proven tools we provide that have helped other professionals just like yourself. Run where you are already strong! 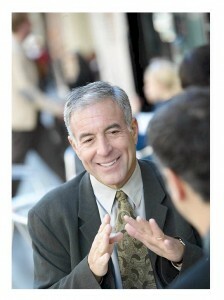 The powerful blend of your talents and the best practices of others we will share with you make a winning combination. We focus primarily on your natural strengths and talents. Our focus on your strengths gives you powerful leverage to achieve what is important to you. We also help you address and resolve any areas or flats spots that may be getting in the way of results you want. This is why our clients enjoy great results with our coaching. Path is the course you will take to reach your destination. Most executives find this journey can be bumpy and at times even precarious. This is where the experience of your seasoned coach is invaluable. We work to establish a high level of candor and trust. We have no political agenda. There are times when you may struggle with something that can derail you from the path completely. These could be behaviors that will be barriers to reaching your destination. When we discover such barriers that could block you from reaching your destination, we go to work in that area. If you veer off your path, your coach is there to help you re-focus and get going again. It’s a simple process that produces amazing results. We cater to your strengths to create systems and processes to address the other areas that need attention rather than spending precious time and other resources trying to master skills that may be less necessary. Your coach will help you stay focused on what is most important to you and hold you accountable when others in your organization may be reluctant to do so. We’ll help you focus on the highest leverage issues that are important to you and your success. We’ll introduce the right tools at the right time. Don’t worry about overload. We’ve coached many executives and are sensitive to busy schedules.